John Heartfield is credited with having invented ‘political photomontage’ but an equally prolific fotomonteur was Jacob Kjeldgaard (1884-1964), known as Marinus. Both feature in Hitler Blind – Stalin Lahm [Hitler Blind – Stalin Lame], edited by Bodo von Dewitz (Steidl, £25). 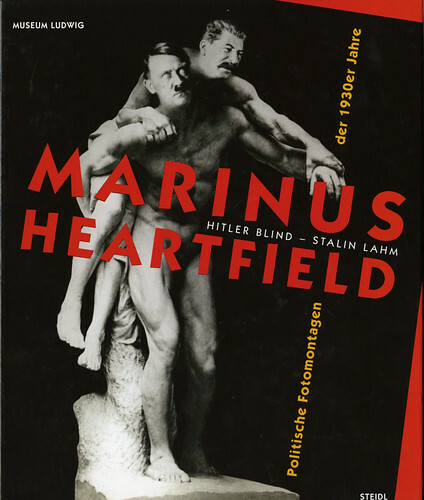 Subtitled Marinus und Heartfield: Politische Fotomontagen der 1930er Jahre, this is the richly illustrated catalogue for a 2008 exhibition he curated at Museum Ludwig in Cologne, Germany. 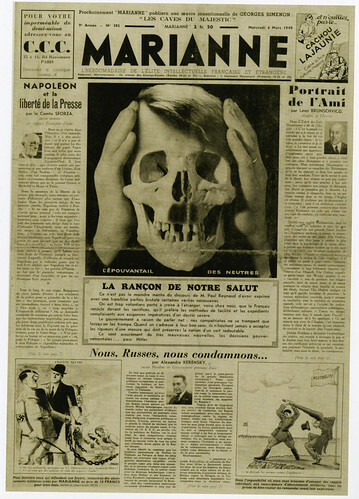 Marinus, a Dane who had resettled in Paris in 1906, was already making images for the French periodical J’ai vu… in 1932, when he became the main visual commentator for Marianne, a new leftist cultural and political broadsheet. The first issue included a photomontage parody of Aesop’s fable about the hare and turtle, with the turtle, here representing the goddess of justice, beating the hare, a capitalist rogue. Many of the early montages focused on political and economic folly, but the main target of the paper’s ire was the rise of Nazi Germany and Fascist Italy. Marinus picked up relentless steam as 1933 rolled around, and with it the appointment of Adolf Hitler (above, on a 1940 cover) as chancellor. While these images evoke Heartfield, Marinus had a distinct style. Where Heartfield went for the grand gesture, Marinus relied on more narrative tableaux, and filled his images with melodramatic detail. Marinus also found some incredible scrap from which to work. The photos of Hitler and others looked as though they were made especially for the montages they are in. The catalogue rectifies the lack of documentation on Marinus in design and cartoon histories. 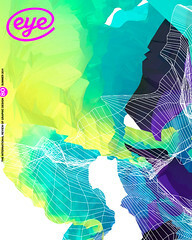 It is rich with beautifully printed reproductions. Historical references also abound, placing him in context. For the moment, however, note that the book is only available in German.